The New York headquartered multi-diverse business organization Thomson Reuters, with 103 offices in 24 countries, has announced today its results for the third-quarter ended September 30, 2013. Revenues from ongoing businesses grew 2% (before accounting for exchange rate fluctuations) from the prior-year period to $3.1 billion, adjusted EBITDA increased 4% from the prior-year period and the corresponding margin was 27.5% in 2013 versus 26.5% for the third-quarter of 2012, according to the official press release. Underlying operating profit was up 3% and the corresponding margin was 17.8% versus 17.5% in the prior-year period. Year-over-year adjusted earnings of US$2 million had no affect on Earnings Per Share (EPS) which remained unchanged (at 0.48) for shareholders. According to the company’s third-quarter earnings presentation, it highlighted its progress as being on track and consistent with full-year expectations. Diluted earnings per share decreased 38% from .55 to .33 along with other IFRS financial measures, and reflected the loss of operating profit from divested businesses as well as higher tax benefits recognized in Q3 2012, according to the company earnings announcement. For FXall, which was acquired in 2012 by Thomson Reuters, a steady increase month-over-month for all of 2013 is observed when compared to the previous year, and reflects a somewhat inverse relationship to that of volumes on Thomson Reuters’ main FX Spot trading services whose combined platforms include Thomson Reuters Dealing, Matching and Reuters Trading for FX, which had decreasing volumes month-over-month in almost all of 2013, except for February (slight increase) and April (unchanged) when compared month-over-month with 2012. This trend was covered by Forex Magnates last month and could reflect either coincidence, a migration of existing clients across company products, or the acquisition of new clients/volumes on FXall and loss of clients/volumes on the remaining platforms offered (or a combination of other unknown drivers). 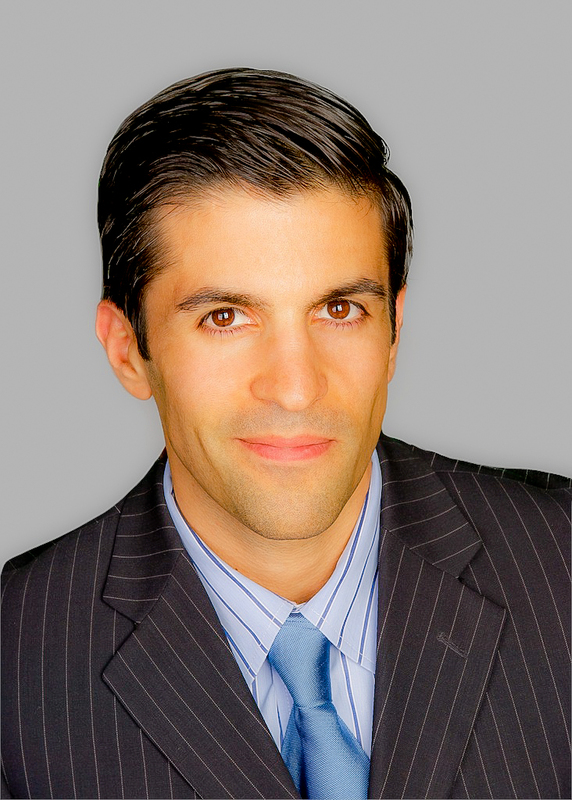 Following its acquisition of SigmaGenix’s in August and Tradeweb’s FX Options business in July, the company also recently received provisional approval from the CFTC for its Swap Execution Facility (SEF) application on the same day that inter-dealer broker ICAP had also been provisionally approved by the US commodities markets’ regulator as an SEF. While the firm does not disclose FX Options volumes as of yet, the SEF related trading will be reported by the CFTC and is something to watch as related OTC products shift to on-exchange trading. 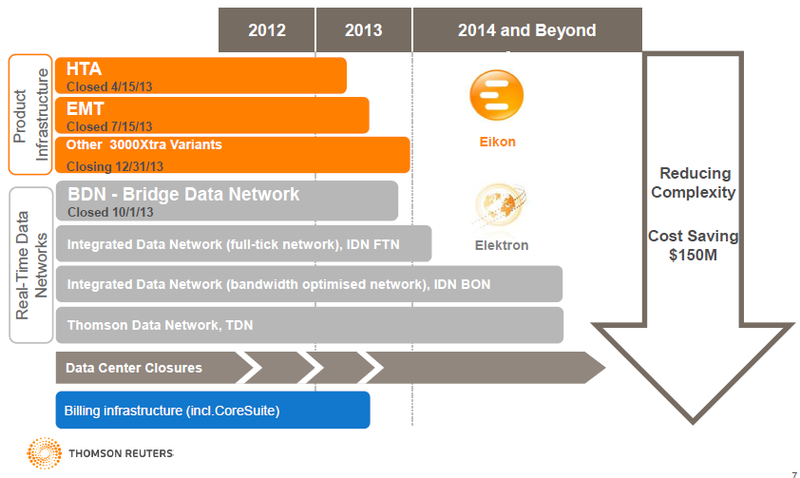 The diagram below highlights the intention to reduce the complexity of having many products by consolidating services into streamlined products such as Eikon, and with legacy products being closed, as can be seen in the excerpt from the Q3 2013 earnings presentation with forecasts for 2014 and beyond. Revenues decreased 5% with growth in Elektron Managed Services more than offset by legacy desktop cancellations primarily in Equities and Fixed Income. Recoveries revenues were down 4%. Revenues decreased 1% versus the prior-year period. Enterprise Content revenues increased 6% and were more than offset by a 5% decline in Investment Management revenues, while Banking & Research and Wealth Management revenues were essentially unchanged. Revenues were flat (down 3% organic). FXall growth of 7% was more than offset by a decline in desktop revenues and a decline in foreign exchange and fixed income volumes resulting from reduced overall market activity. Revenues grew 21% (16% organic) to $64 million from strong sales growth and continued strong demand. 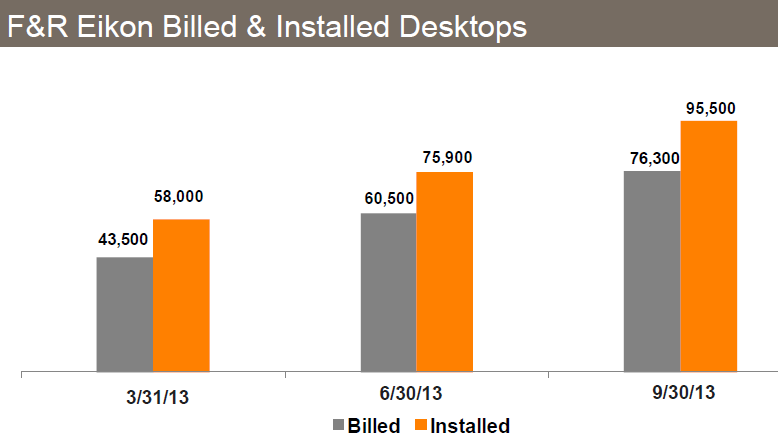 Billed Eikon desktops totaled approximately 76,000 and installed Eikon desktops totaled approximately 96,000 at the end of the third-quarter, both up 25% from June 30, 2013. The company’s next-generation desktop terminal Eikon surpassed 100,000 installed desktops in early October. 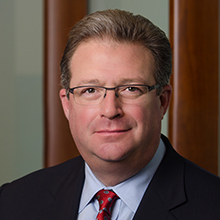 “Our third-quarter results confirm the positive momentum we are generating in the marketplace,” said James C. Smith, chief executive officer of Thomson Reuters, according to the Q3 earnings presentation. *The full release is available on the corporate website.